It is very important to explain that the time has come to shed the light of truth on the array of secret materials related to the phenomena of UFOs and those that travel in them... and to expose the dark operations and covert programmes that have been covered up by governments although they are of fundamental importance to global society. 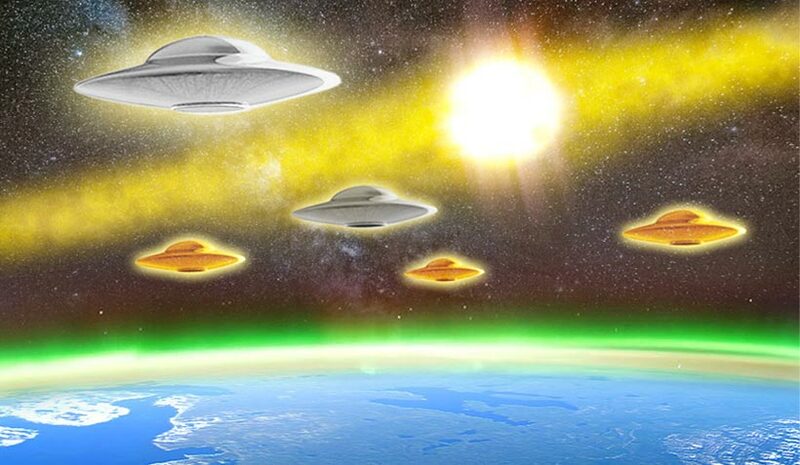 A vast amount of evidence has been recorded throughout the world regarding ships of cosmic origins that have had a connection with human beings, whether in a positive direction or a decietful one founded on darkness that has changed this race's destiny. In this documentary, we see why the anti-light took advantage of this secrecy and astutely disguised themselves as human beings. In ancient Sumer, they camouflaged their appearance and used utmost cunning to insert themselves among the Anunnaki, Nibiruans, Nephilim, Turanians, Philistines and Hittites... so that they could later form part of governments themselves, a trend that continues to this very day. Degeneration became rampant in all fields as the manipulative forces of darkness and immoral leaders have been feeding off evil for millennia, creating the so-called ego-miasmas inside all human beings. To achieve this aim, they mutilated the 12 helixes of DNA that were once ours. Nonetheless, photons of light are now reaching the Solar System and the Earth with more intensity and continuity in order to restore our lost consciousness... and this subtle frequency is becoming unbearable for the anti-light, which is why they are fighting to destroy this civilisation any way they can... by poisoning our food supply and contaminating our water or through radioactive leaks, vaccines and diseases... as part of a huge conspiracy against this civilisation. These aliens came from outer space to take over a planet that does not belong to them... Since the end of 2012, due to unavoidable commitments to the Galactic Confederation, they will have to disclose all they have done on this planet during their unwelcome and abusive stay on Earth which continues to this very day. But will they really de-classify everything or opt for partial disclosure, as they have done thus far in order to avoid being implicated?